Episode 18: Young Leader in Her Own Words — What Would Alice Paul Do? 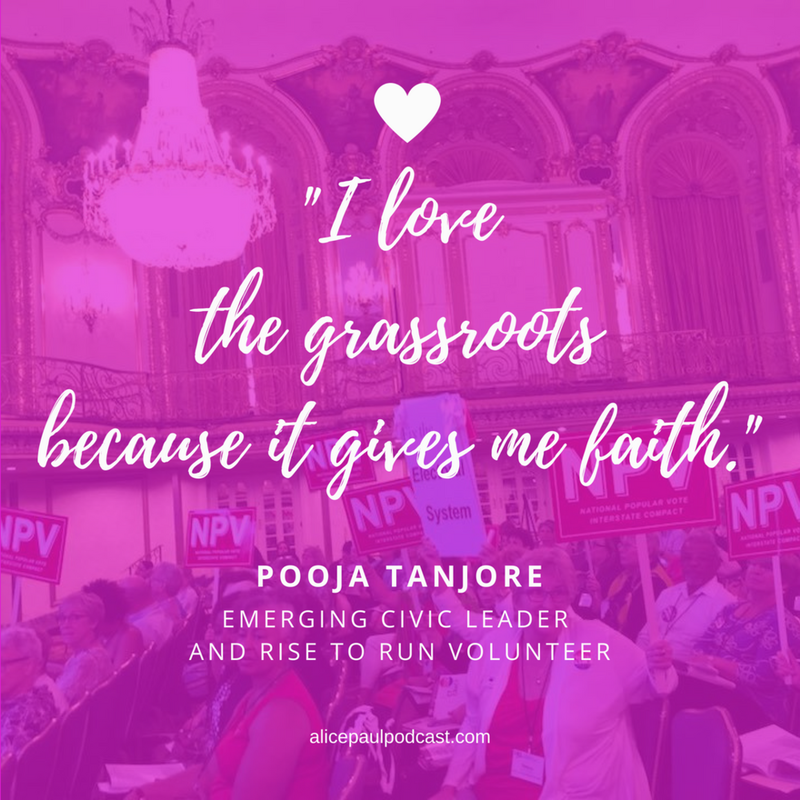 Rise to Run brings progressive girls and young women together in their communities to give them insight into the political process, connect them with mentors, and involve them in local organizing. The Virginia Civic Engagement Table strengthens and connects Virginia's progressive nonprofit organizations and activists and acts as a hub for the larger progressive community. Join the League of Women Voters! Our members are passionate activists who support our work in all 50 states and in more than 700 communities. Melissa Currence May 28, 2018 equity, inclusion, the power of women, women-centered space, Jessica Rohloff, League of Women Voters, equality, democracy, Martin Luther King Jr.